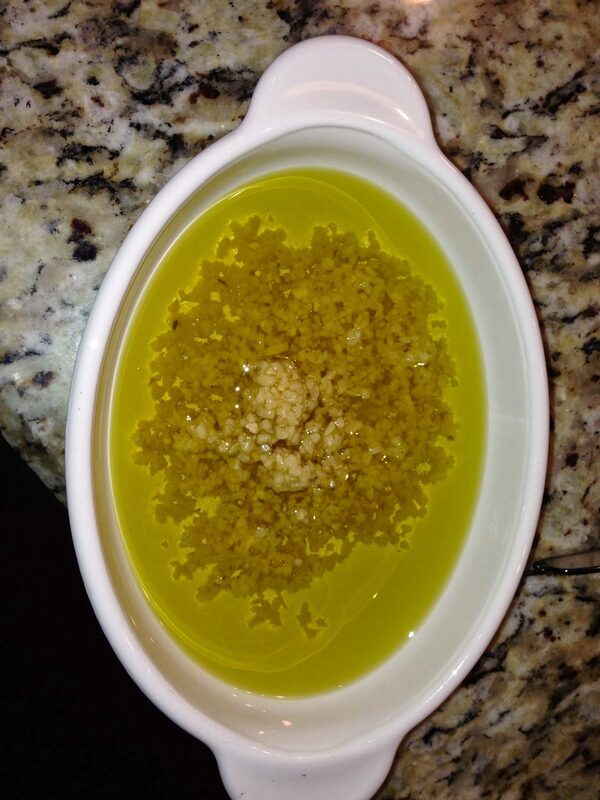 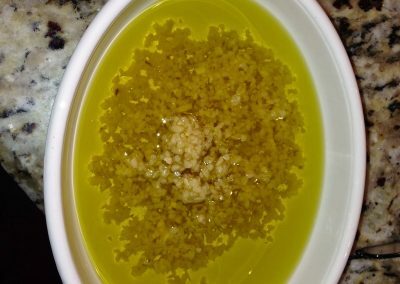 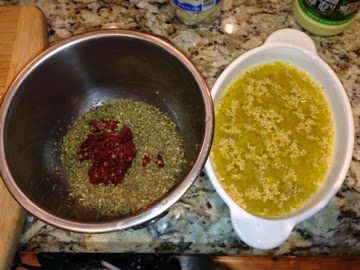 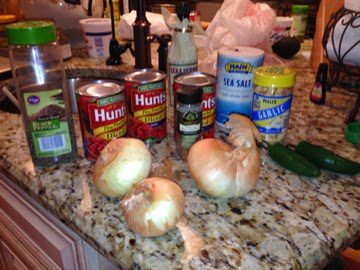 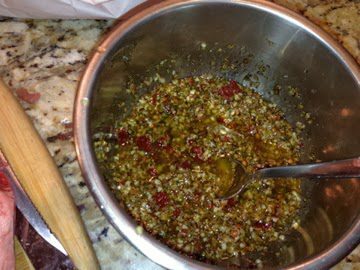 Then combine garlic oil and the rest of the ingredients. 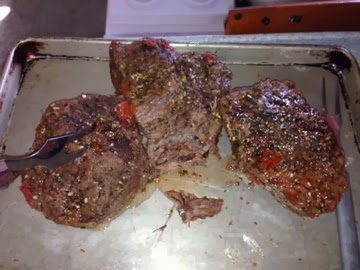 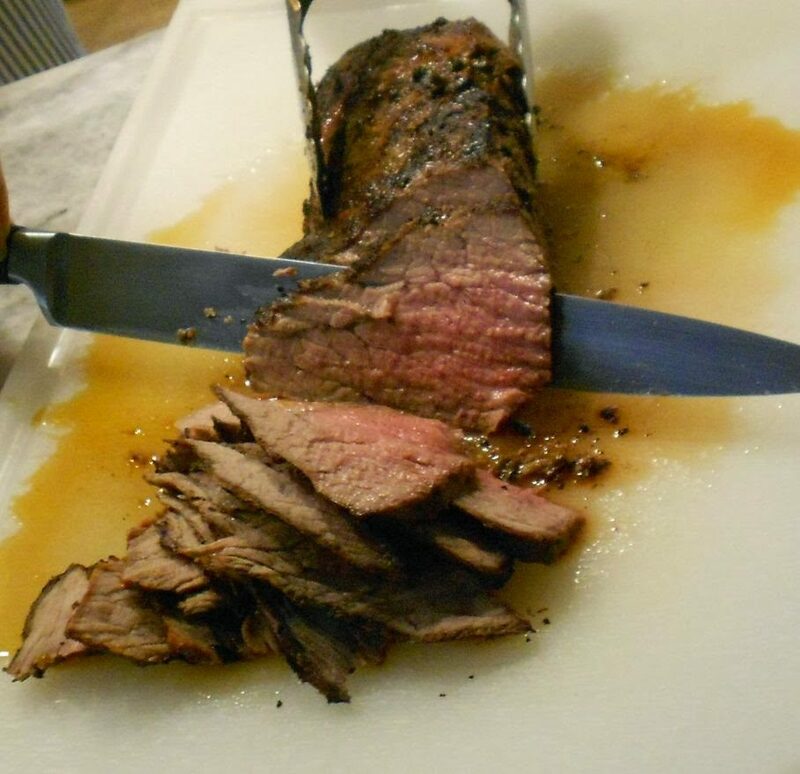 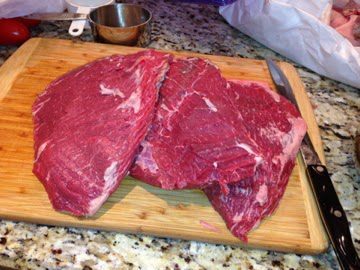 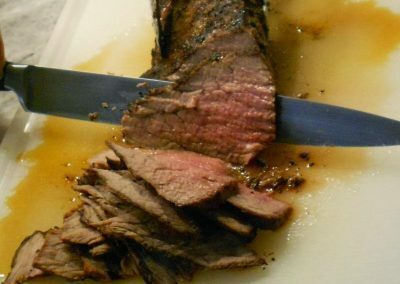 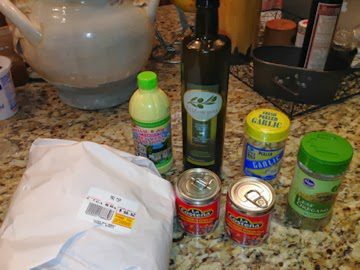 Place in a large zip lock bag or dish and add the tri-tip. 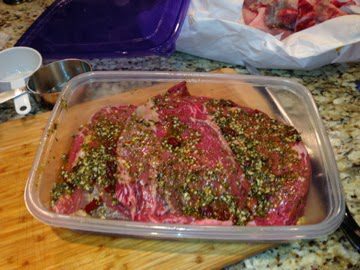 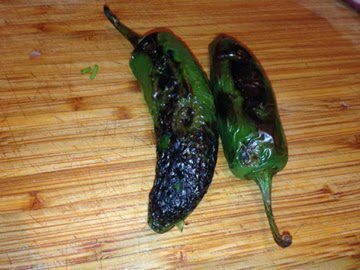 Massage the bag or cover well so that the roast is completely coated with the marinade paste.